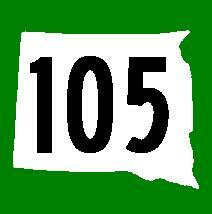 South Dakota State Route 105 is a north-south highway in the Southeastern corner of the state. This runs from North Sioux City to Jefferson. It is completly with in Union County. 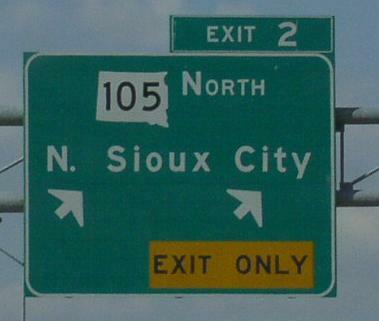 It is reported that there is a business loop of I-29 at North Sioux City. There were not BGS to indicate this. Also, it does not appear on the 2004 Offical Highway Map of South Dakota. If there is one it would be along SD St Rt 105 at North Sioux City. SD St Rt 105 passes through the following towns in Union County. SD St Rt 105 is not multi-plexed in Union County. SD St Rt 105 intersects the following highway in Union County. Interstate 29, at North Soiux City.